Eco-conscious weddings aren’t just the color of emeralds, jade and growing grass. Green weddings aren’t to say weddings you skimp on. A green wedding is a reflection of a lifestyle that some brides may or may not be living and choose to incorporate green alternatives into their wedding planning. Eco-friendly weddings are environmentally sound, and this year new brides and grooms will find plenty of help should they decide to go green or partially green on their wedding day. New brides and grooms will find a number of wedding shows which showcase green vendors this 2013, as well as, reading materials like Green Wedding (Stewart, Tabori & Chang) by New York staff writer Mireva Navarro to help them to create their special moments in time. Eco-conscious weddings aren’t about ditching the five star champagne, nor are they necessarily about cutting costs of a wedding. They are about thinking wisely, planning wisely and being environmentally sound. Many new brides and grooms opt to avoid waste and decrease the impact of their event on Mother Earth. The elegance remains, the gorgeous dress still is the emotional bond that evokes feelings and accentuates beauty, and the celebration can be as grand as ever. In each part of a wedding brides and grooms have the option to incorporate green standards, and by going green you can save money without hampering the significance of your wedding day. Going green on your wedding day, doesn’t have to mean going completely organic, it can be as little as one or two earth-friendly elements that make a difference. The wedding day is a magical day. Incorporating green standards can be a special part of the wedding, and not a single guest needs to realize that you’ve helped to reduce the 62 tons of carbon dioxide that is produced with the average wedding. Nor do they need to know that you have helped to eliminate the 400 – 600 lbs. of garbage, or that you have chosen an eco-friendly material for your wedding gown, all to make a conscious decision to help the environment and to enhance social and economic benefits. This year there are some fabulous ideas for incorporating green standards into your wedding, and we’ve enjoyed outlining them for each new bride and groom in the following sections. Enjoy your special day! Being green isn’t about hours in tedious research. It isn’t about additional effort to choose the right resources. Being green is simply about finding the right resources. It is about incorporating green alternatives into your wedding that make a difference with regards to the environment, and in return, can eliminate expense. Each aspect of the wedding can incorporate green standards, and below you’ll find some wonderful ideas which will help you should you decide to make a conscious decision to implement green into your wedding day. Socially and environmentally responsible jewelry is something that new couples often overlook. The average couple spends over $7K on their engagement and wedding rings. This puts billions of dollars into the jewelry market- but, not necessarily into responsible jewelry. One step new brides and grooms can take is to purchase their rings from jewelers that use ethically sourced diamonds, gems, and metals, and, recycled stones and metals to create that once in a lifetime masterpiece that perfectly complements their wedding finger. Other alternatives to consider are antique pieces, vintage pieces, handmade pieces, and family heirlooms, which can be a less expensive alternative, as well as, a sustainable alternative. There is so much paper involved in wedding planning from the save the dates to the invitations to the RSVP cards to the programs and more. The amount is tremendous when you consider the number of couples that wed each year. One simple measure new brides and grooms can take is to break away from the tradition of papermaking that involves waste and chemicals. Opt for alternatives, such as soy inks, tree free paper, recycled paper and post-consumer waste paper. The gown is an area where brides can help to deter the impact to the environment on their wedding day. Choosing a sustainable wedding gown will do this, and put all fear aside, your dress will not look like a gunny sack- it all boils down to choosing a few of the “right” elements. The first element is the fabric of your gown. Consider fabrics like bamboo, organic cotton, peace silk, hemp, silk blends, and vintage fabrics. Another option is to go vintage or used in your choice of a wedding gown. Although the thought of browsing the local thrift stores makes many brides “cringe” you could get lucky! Used dresses are an alternative, and there are green bridal shops that do sell some fabulous second hand dresses that have only been worn once! Your accessories are another place to practice green standards. Here your grandmother, can play a significant role with that sentimental brooch or string of pearls, or even the incorporation of the beading of your mother’s wedding dress. 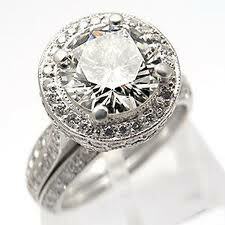 If this isn’t an option, then consider the purchase of jewelry that hasn’t been massed produced. Find an artist that makes specialty handmade pieces with environmentally sensitive materials, or reclaimed beads and fabric. Even with no makeup, the undeniable fact is that brides glow. There is a radiance that a bride possesses, a spark in the soul that seems to ignite on the bride’s wedding day like no other day in their lives, and it is shown through the skin. The body’s largest organ is the skin, and what goes onto the skin should nurture the skin. Using natural beauty and hair products or utilizing a green salon for your wedding day will benefit both you and Mother Earth. Flowers are one area of your wedding that can easily turn to a green alternative, without effort. Many of the florists use imported flowers that are sprayed with fungicides and pesticides. The chemicals used to preserve and enhance the flowers can be harmful to your health, as well as, pose a threat to the environment. Organic, local and seasonal flowers are an alternative that are not sprayed with chemicals. When you put to use organic, local and seasonal flowers you also avoid costly expenses, as well as, lower fuel consumption and emissions that escape into the environment. 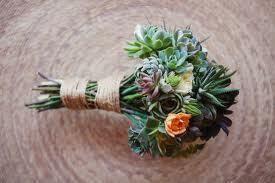 Another consideration is arrangements that involve faux flowers, fewer flowers, or plants that will not go to waste. If you have your heart set on a flower that is not in season, then shop VeriFlora-certified flowers. VeriFlora-certified means that the blooms have not been grown under harsh working conditions or drenched in chemicals. The décor of the wedding plays one of the most important roles in a wedding- the sentiment, the statement, the emotional bond to the uniting of love. For eco-friendly choices on the décor, consider decorations that can be used more than once or centerpieces made from vintage items or handmade pieces. With the food and beverage, your best bet for going green is to utilize in-season local and / or organic foods. By using in-season local and organic foods you decrease the carbon footprint of your meal. There’s no concern that organic foods have been treated with pesticides that harm both Mother Earth and her inhabitants. Organic caterers and green restaurants create menus that are attractive and tasteful that burst with fresh, seasonal foods. When it comes to the beverages, add wine, beer and other beverages that are local, as well. When you use local foods, you use less electricity, less trash and lessen your carbon footprint on your wedding. If you do use out of season fruits and vegetables be sure they are grown in heated greenhouses. The gifts are where you can make a social impact on your wedding. By registering with companies that are eco-friendly you not only support sustainable businesses you also educate your guests about eco-friendly products. Favors are something that often end up in the trash can. One suggestion is to get rid of the favors and to contribute to a charity in the name of your guests. Let your guests know that you have done away with the plastics, metals and fabrics that are often used to package favors and can be tough on the environment to produce and have instead donated to a charity in their honor. If your heart is set on favors then consider edible favors- here there are some wonderful ideas. Find a local farm or orchard for jars of fresh jam or honey. The container can be reused, and your guests have a great treat. Organic chocolate bars are another option, as are seeds in pretty packages that guests can grow. Minimizing electricity can add to the romantic ambience of the day! Consider dimming the lights or using candles as your predominate lighting source. The candles can also act as a favor which you send your guests home with. If your wedding is outdoors, then consider a bonfire over patio heaters. The EPA estimates that cars, trucks, and buses lead the pack in the top producers of air pollution. One way to cut the carbon footprint of your event is to hold the ceremony and the reception at the same venue, or venues that are close to one another. Also, having an alternative energy bus or trolley for your guests will also minimize emissions. For travel you and your wonderful groom to be, a horse and carriage is a romantic alternative. Eco-tourism is a big industry in itself, and you won’t have to sacrifice luxury to enjoy a romantic honeymoon for two. Choose natural destinations, places where the people and environment will benefit from your visit. Green hotels and carbon offsetting will all help to conserve resources. Honeymoon hotpots include national parks and tropical reefs. “The Canadian” offers one of Canada’ most beautiful scenic train rides which tours the west Rockies, prairies, and landscapes, and can be quite a romantic honeymoon that reduces the environmental footprint of the uniting of your love as husband and wife. Eco-friendly elements can be incorporated into your wedding day from one or two details to the entire wedding planning. If an eco-chic wedding is for you, then start searching for green wedding vendors, create your eco-chic wedding registry, and get ideas and inspiration from other newlyweds who have gone green on their wedding day. Even one or two eco-friendly alternatives make a difference. The best suggestion we have is if you plan on hiring a wedding planner than to choose one that has connections within the industry with green vendors. As a special addition, we thought we’d add some wedding day facts that we think each new bride and groom will find interesting, especially for those who wish to consider the environment, social and economic benefits of a green wedding. Each year, millions of couples get married. The average wedding produces 62 tons of carbon dioxide and 400 to 600 lbs. of garbage, thereby creating a tremendous amount of waste. With so many weddings around the world each year if each new bride and groom were to make even one green choice alternative it would make a difference in the world. With the “average” wedding costing about $40K, weddings have become a $60 + billion dollar industry. Incorporating green into your wedding is a means to support businesses that are environmentally responsible in the way they operate. When the vendors are supportive, a positive circle is enhanced, and everyone shares the social benefits. When you implement green into your wedding you typically save money. Simple eco-conscious decisions can make a tremendous impact on the earth. Transportation from the church to the reception venue for the guests, the choice of a location that is central to the majority of your guests, using local and / or organic foods, and so on will benefit Mother Earth, and lessen the impact and most often, the cost of your wedding.